Valleberga Kyrka in the small village Valleberga, located about 17 kilometers east of Ystad, has not only an usual shape, but is also regarded as the only preserved round church in Skåne Län. The round church was built in the middle of the 12th century. 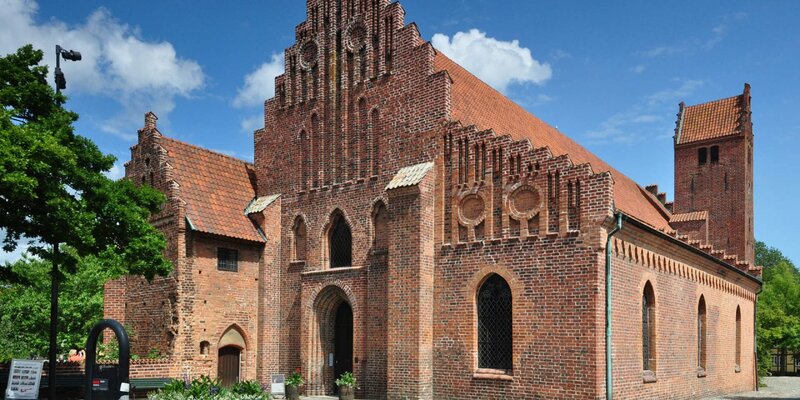 As early as 1343, Valleberga Kyrka was restructured for the first time. Ceiling vaults were added and the interior of the church structured into four naves. The lime paintings on the vaults arose about 100 years later. Around the same time the massive tower was built, which is about 20 meters south of the church. This tower was a defensive tower, a so-called Kastal, as well as a bell-tower, and most probably a part of a ring wall which had once been built around the church. In addition to the already mentioned limestone paintings, sacred objects from the Middle Ages have also been preserved. The oldest object is the stone baptismal font, made in 1160 by a stonemason named Majestatis, completely decorated with reliefs of the apostles Peter and Paul. The wooden shrine dates back to the early 16th century and shows the reliefs of the Twelve Apostles on its two door wings. Inside the shrine are two large sculptures representing the apostles Peter and Paul. The pulpit, also decorated with relief pictures, was built in 1619. 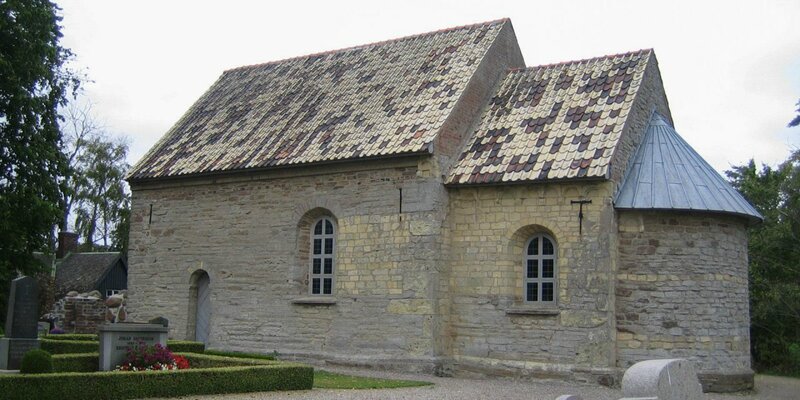 The round church is heavily altered by the attachment of the naves, that it looks like a four naved church from the outside. A new construction of the church with the total demolition of the old church and the Kastal is required. It is only after the influence of the Royal Academy of Sciences that a design is carried out, in which the original round church is preserved. 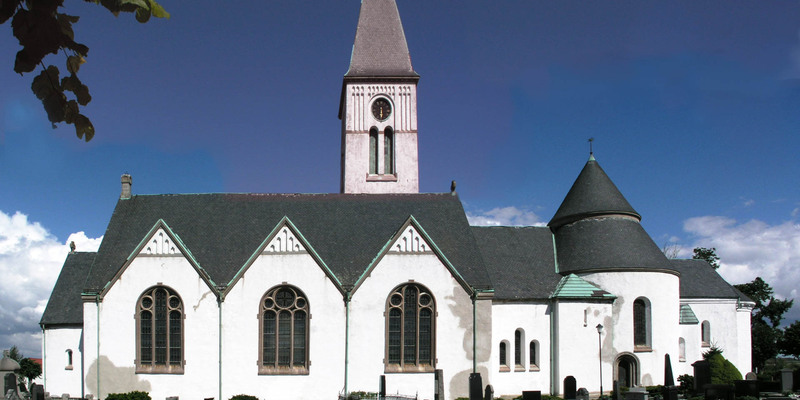 The naves from 1791 are demolished and a new long main nave is built on the western side of the round church. 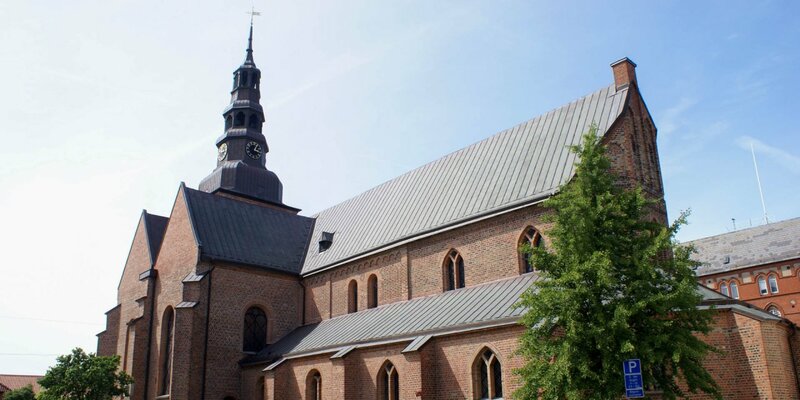 In addition, a tall slanting bell tower is built on the north side of the new church. The old Kastal is spared from demolition by the decision of the office for protection of historical monuments.